Rong Xin – They should've sent a poet. They should've sent a poet. It is a rare occurrence for residents in the heartlands to be graced by the presence of a celebrity, let alone three artistes from Hong Kong! As part of the “StarHub TVB Awards 2017”, fans and shoppers were treated to a casual meet and greet session today with some of the nominated artistes at Causeway Point Singapore. 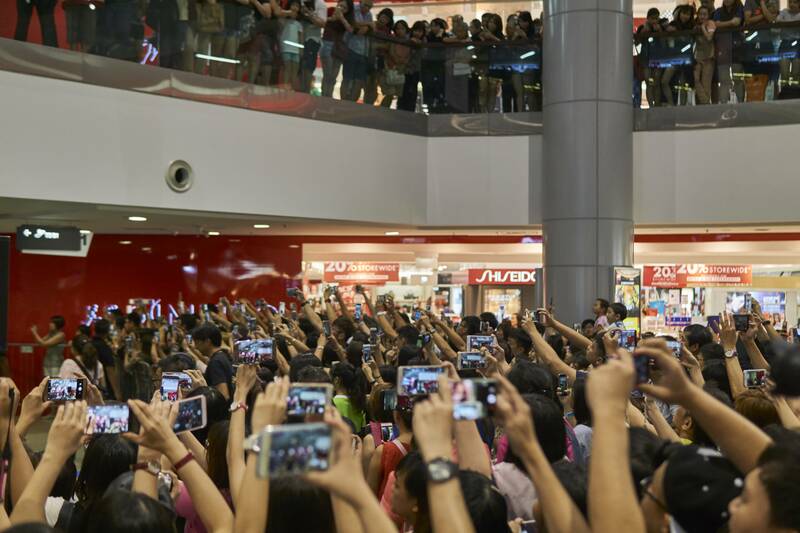 A sizeable amount of fans were tightly huddled around the stage with additional onlookers observing from multiple stories above the shopping centre. In an obvious move, the host initiated a quick game of trivia to stall for time as they waited for the celebrities to arrive. A lucky few won some freebies as they correctly answered his questions concerning the awards or the arriving artistes. 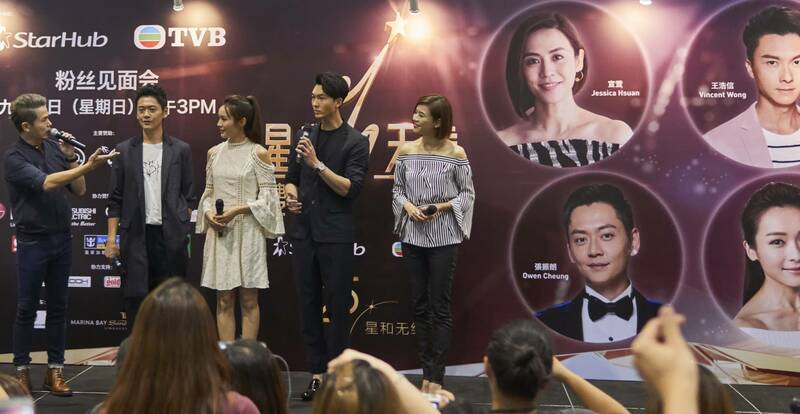 As fashionably late as celebrities usually get, mobile phones and cameras were quickly whipped out as the veterans of Hong Kong television, Ali Lee, Vincent Wong, Jessica Hsuan and Owen Cheung got on the stage. Smiles could be seen everywhere as the mood quickly turned to a celebratory one with fans waving wildly to get their attention and flashing their handmade signs of affection. The radiant looking stars were clearly just as excited to be there and they each answered a couple of softball questions from the host with great enthusiasm. While the fans themselves did not get the chance to ask any, a fortunate few were plucked from the crowd to participate in a game on-stage with the stars. 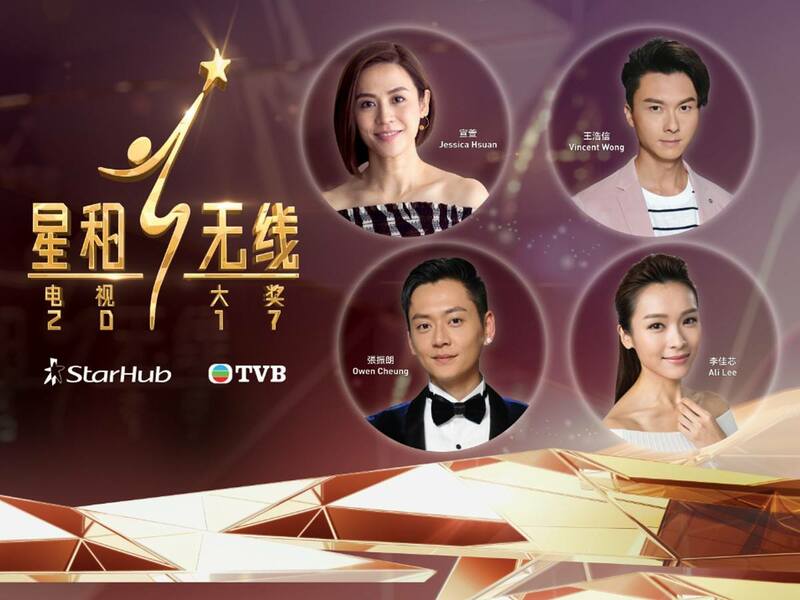 The half an hour fan engagement was clearly of great success and an excellent way to promote this year’s “StarHub TVB Awards” which will be held at the Marina Bay Sands on 21 October 2017. You can vote for your favourite artistes here.